In 2011 Ghana reached ‘lower middle-income status’ as classified by the World Bank, but this is no reason to cut aid to the country as many people still live in poverty with poor access to health and education. 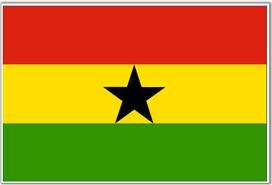 Ghana has reached a status of a lower middle-income country as a result of fast economic growth. However, this does not mean that Ghana should be left alone to deal with the rest of the development. It is known that at the beginning of economic growth, inequality in fact increases, which can have severe effects on the lives of people in that region and of those who are socially excluded. We should not be fooled by statistics based on national income to think a middle-income region is free of poverty or inequality. So what do the statistics for Ghana look like? The World Bank takes its classification from the gross national income divided by population, which does not take into account the distribution of wealth. The health statistics for the country, as a whole, look encouraging with a steady decline in maternal mortality and a steady increase in life expectancy rates at birth. However, statistics studied on a region by region basis highlight the true levels of inequality that exist within the country: 80 percent of the country’s poor live in the largely agricultural Northern, Upper East and Upper West Regions and 36 percent of children under 5 in the Upper East Region suffer from chronic malnutrition. Access to education varies drastically between regions, and there is a direct correlation between education and fertility rates as displayed by the statistics: greater Accra has the highest levels of education within the country and women have an average of 2.5 children, whereas in the Northern region, two thirds of women have no formal education and an average of 6.8 children. There is also a vast divergence in the levels of assistance at delivery between these regions, with 90 percent of women aged 15-49 years who gave birth in the last two years in Greater Accra being assisted by skilled personnel at delivery, whereas in the Northern region the total was 37 percent. In order to address this inequality African Initiatives is running the project Accessing Health Rights for women and children in northern Ghana, the aim of which is to work with women from rural communities in the Upper East and Northern regions and connect them with existing government health services, to raise awareness of reproductive health, sexual health rights and promote women’s decision making. Find out more about our work in this area. There are three main schools of thought regarding aid and middle-income countries. The first believes that aid should be focused on low-income and the most fragile countries. The second argues that poor people matter wherever they live and aid should be focused on the most vulnerable people and regions regardless of the income status of the country. The third argues that aid for middle-income countries should play a game-changing role, for example by improving the tax system of a country and tackling inequalities rather than direct money-giving to the poor. Aid should be free to eradicate poverty, no matter where it exists and should protect the most vulnerable in the global community, independent of a country’s financial status. Development and inequality are better criteria than income alone.